When running a data flow run through a service SOAP rule, the pyApplication and pyApplicationVersion properties are not captured in the interaction history. This issue can lead to unexpected data flow results or the interaction history records not being saved. This issue is caused by an incorrectly configured strategy rule that is part of the data flow. Modify the strategy rule that is part of the data flow to copy properties from the clipboard to the interaction history. In the Records Explorer, click Decision > Strategy. Select the strategy rule that you want to edit. Open the Pages & Classes tab. In the Page name field, enter pxThread. In the Class field, press the Down Arrow key and select Code-Pega-Thread. 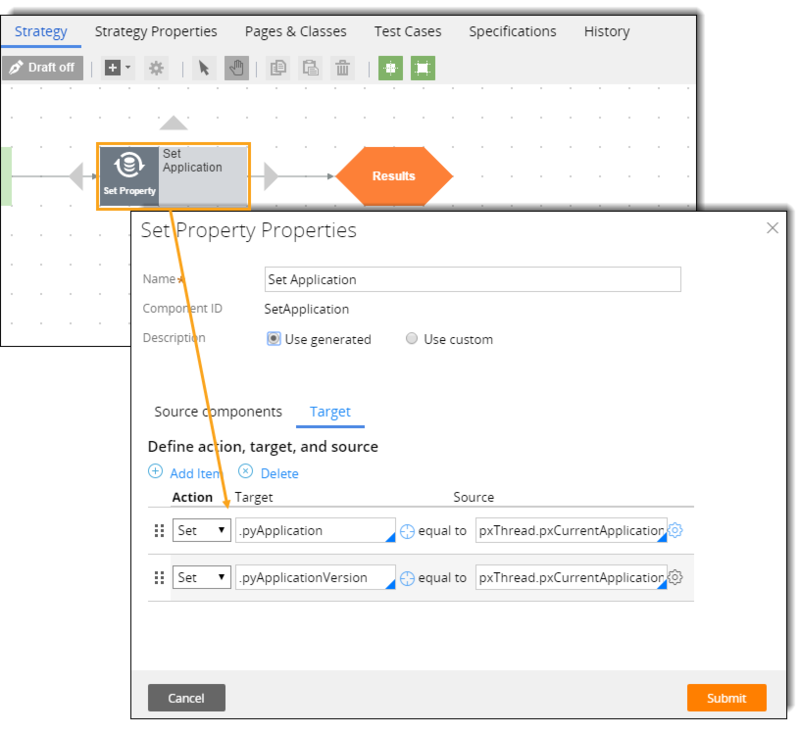 Right-click the strategy canvas, and then click Enrichment > Set Property. Place the Set Property shape before the Results shape by dragging the Set Property shape and connecting it to other shapes in the strategy. Double-click the Set Property shape to open the Set Property Properties panel.